It’s finally here: drama, thrills, and a battle of wills between the finest League of Legends players in the country. The UK League Championship is about to kick off! So it begins. 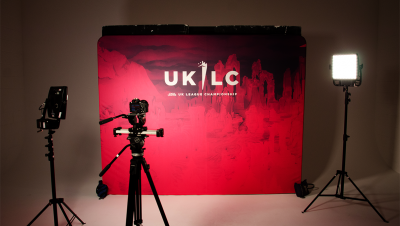 On Wednesday, the 13th of February at 6pm GMT, the UKLC will start for the very first time. And there’s plenty to look forward to. 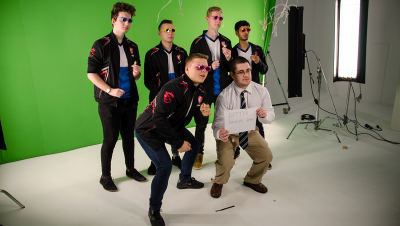 From Diabolus to DarkSpawn Gaming, every team will have their eyes on one thing: throwing Enclave Gaming from their perch at the top of the tower and dominating the competition for seven weeks to win the inaugural UKLC title. But before they can do that, they have to get through their scheduled opponents in this week’s Round of 8. The first-ever game of the UKLC. It’s a battle of old versus new, as rookies DarkSpawn, a team of untested, raw UK talent, will come up against one of the world’s legacy esports organisations: Fnatic. 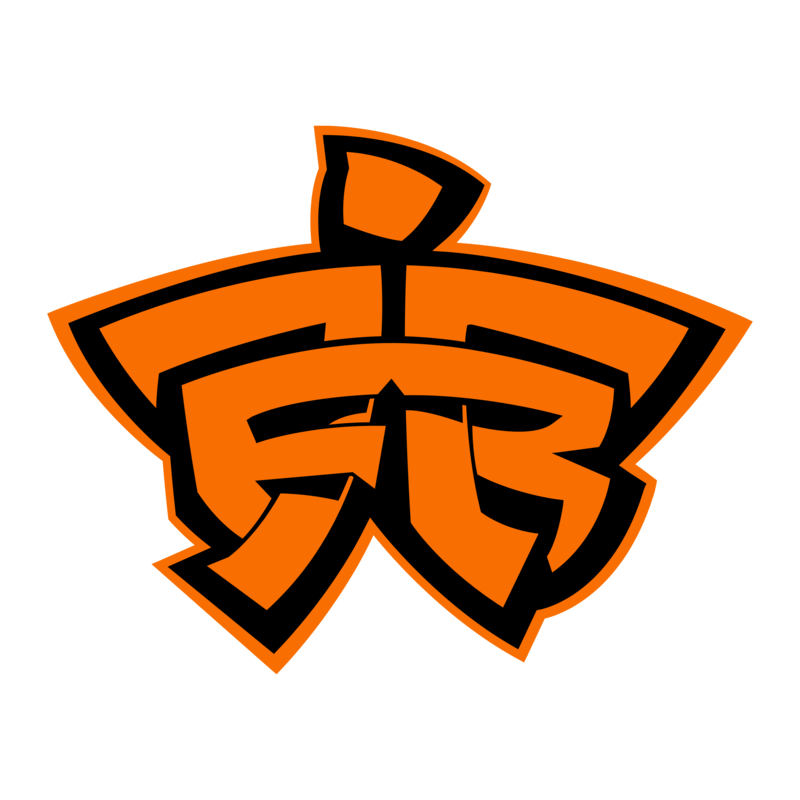 The organisation got a team to last year’s World Championship final, and their newly-branded Fnatic Rising will be aiming for the top. 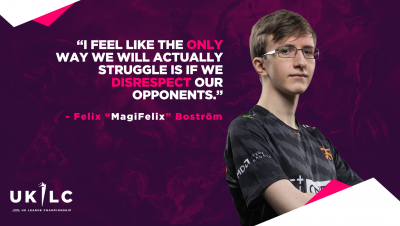 “I feel like the only way we will actually struggle is if we disrespect our opponents,” said Fnatic Rising’s skilful midlaner, MagiFelix, in an exclusive UKLC interview last week. 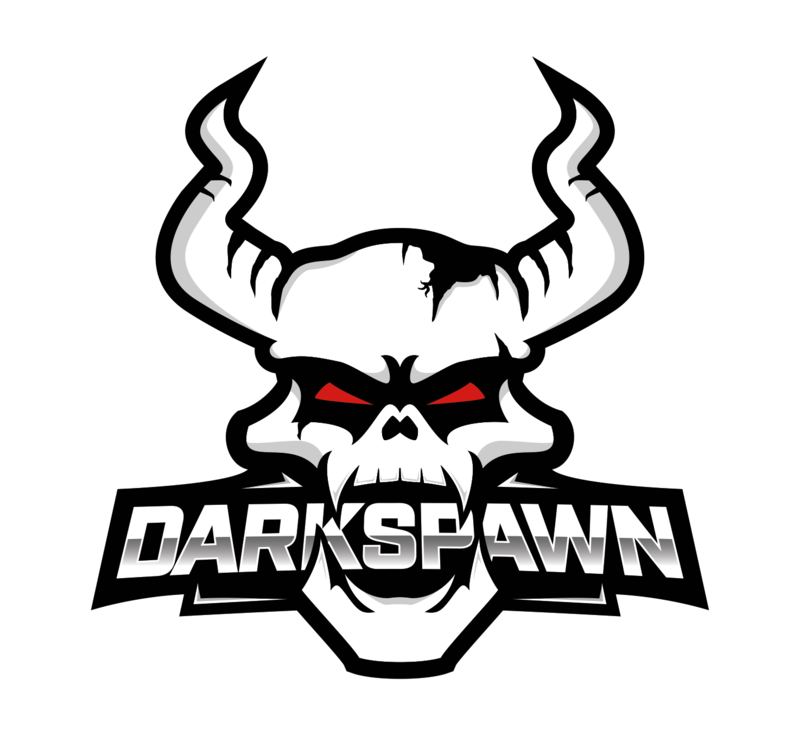 Can DarkSpawn surprise the giants with an upset in their first game? 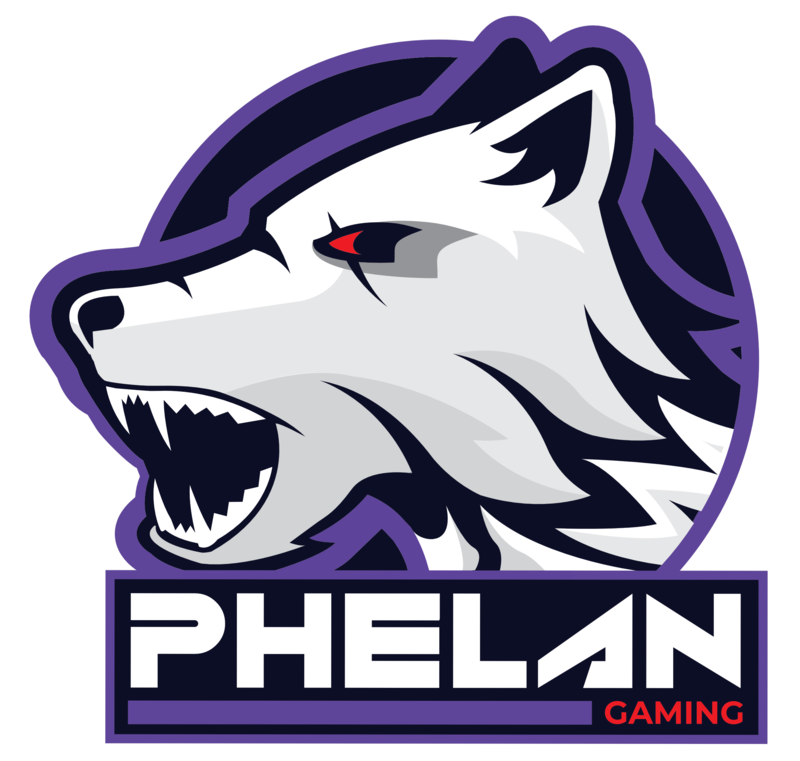 Excel UK and Phelan Gaming are the two UKLC organisations who have been most vocal about utilising ten-man rosters this split, so every player in both line-ups will be driven to make an immediate impact. 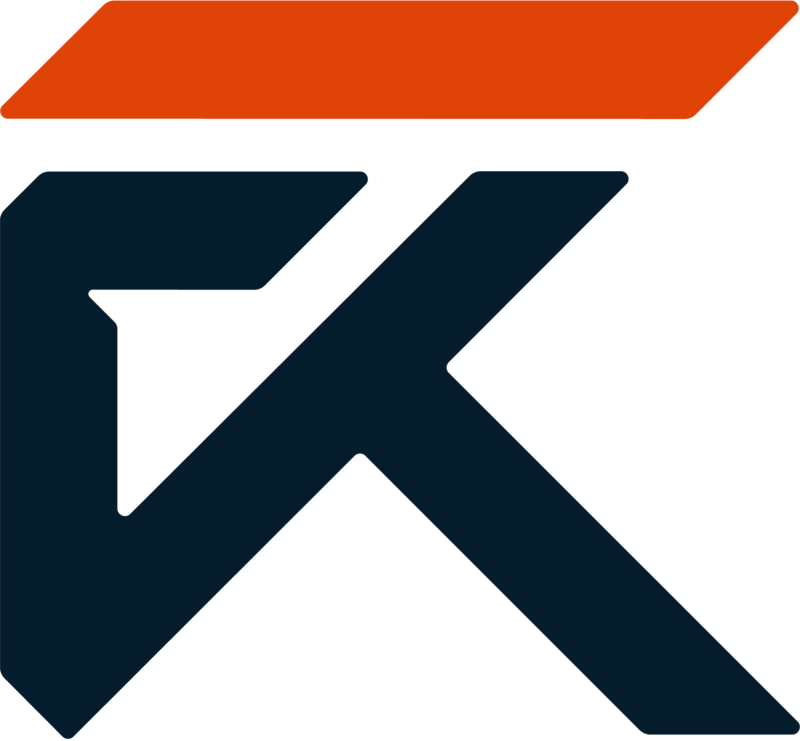 With Excel’s squad also competing in the LEC, the team—alongside Fnatic Rising—are widely considered the strongest contenders for the UKLC title. But Phelan’s players boast some impressive mechanical talent of their own, and the team wields the extra motivation of representing Ireland. Can they convert that passion and potential to a positive result on the Rift? 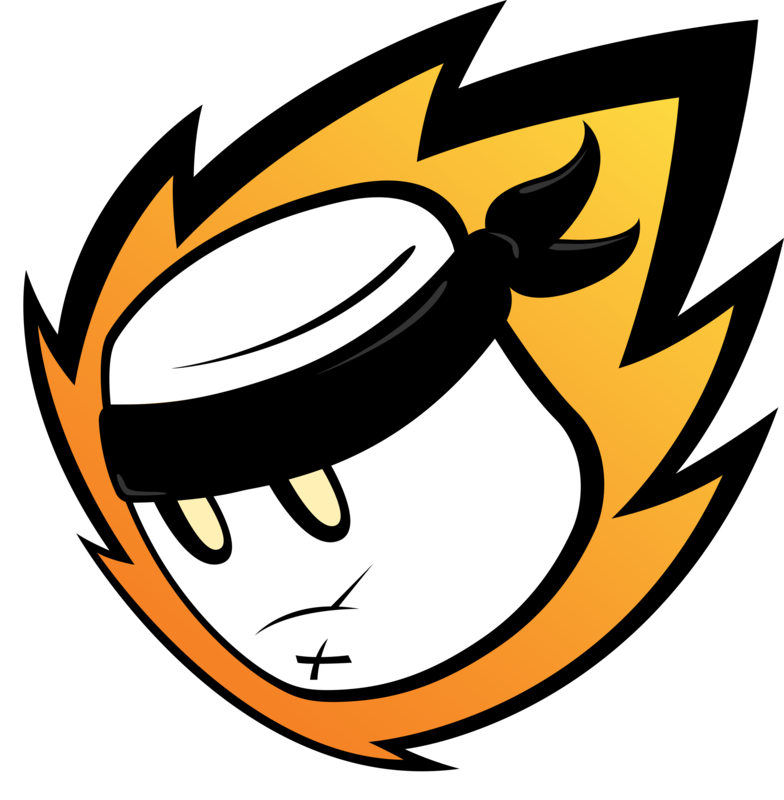 Twitter’s been alight with talk of MnM’s roster, which has been touted as one of the strongest in the league. 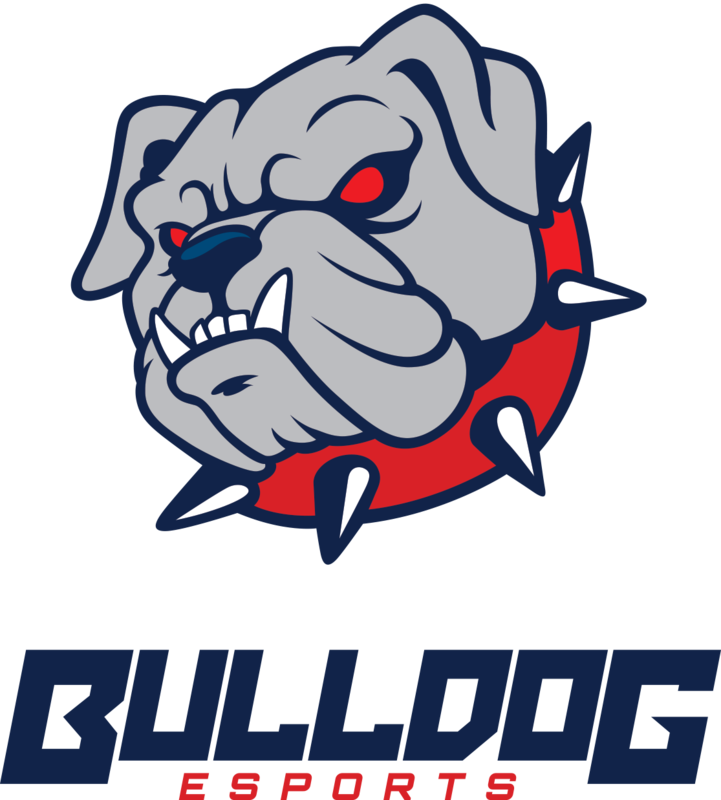 Will they prove a potential contender for the LEC orgs at the top, or will Bulldog remind everyone never to count out the underdog? One thing’s for certain: this match-up should be entertaining from the start, as both teams have players who are well known for some unusual champion picks. You can’t mention unusual champion picks without immediately shouting out Diabolus top laner and off-meta extraordinaire Kerberos. But he’s just one of many notable names in another line-up that benefits from enough experience and individual talent to be eyeing the title. Meanwhile, Barrage’s roster of UK veterans harbours arguably the most experience out of any in the league. 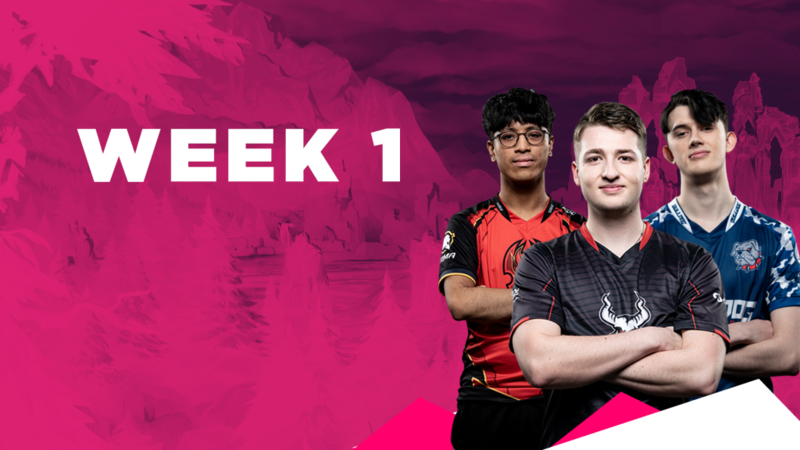 However, this clash will be the first time that we see Nutri play a competitive match as a bot laner, after a lengthy history both as a jungler and support on various teams. 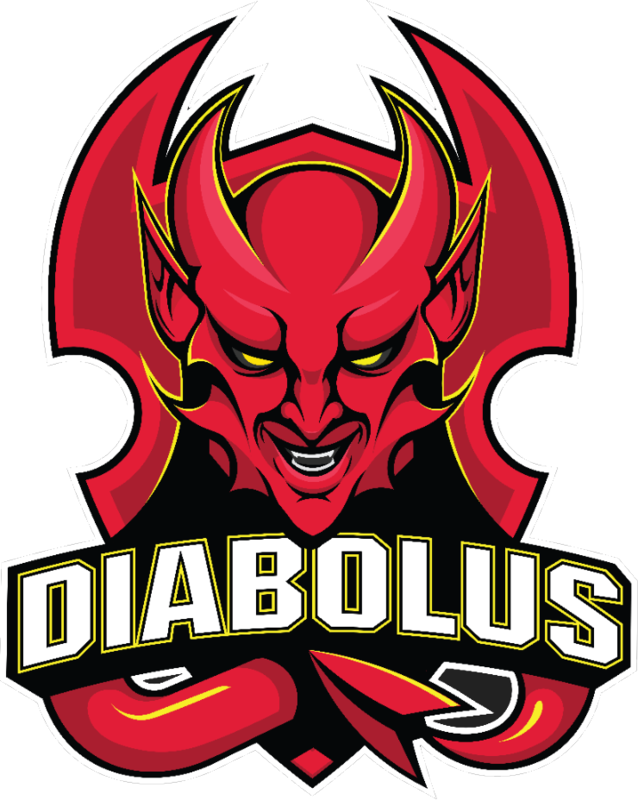 Can Barrage’s experimental bot lane bully Diabolus to defeat, or will this be a case of ‘better the devil you know’? Remember that all times are subject to change slightly depending on the length of the games. Need a reminder on the format? Check out our handy explanation here! Remember, this week’s action doesn’t stop there. 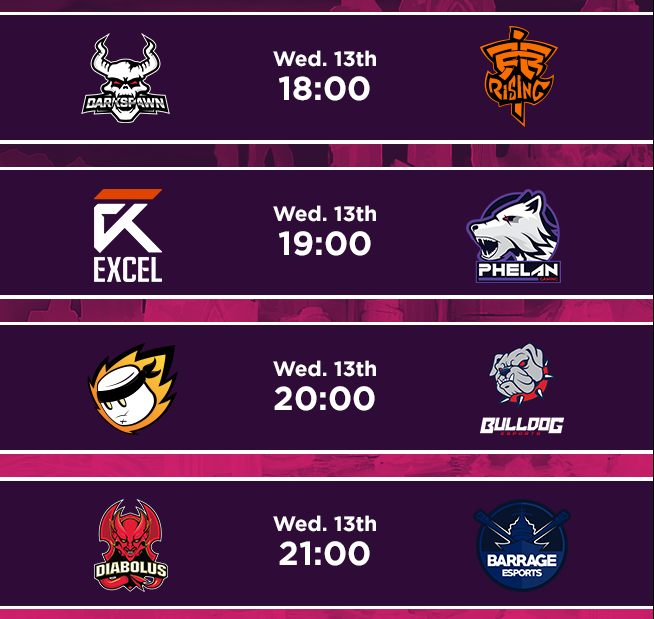 The four winners of the above fixtures progress to the bracket semifinals on Thursday, which also starts at 6pm GMT. 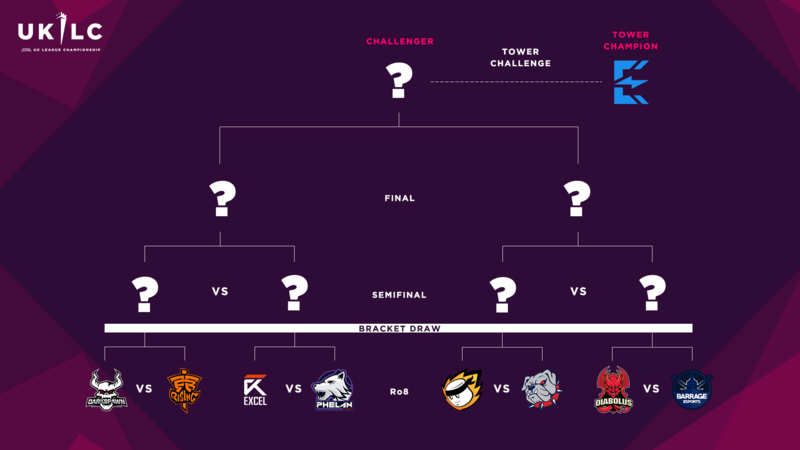 The winner of the bracket will then have an opportunity to dethrone the first tower champions, Enclave Gaming, in the UKLC’s first tower challenge.